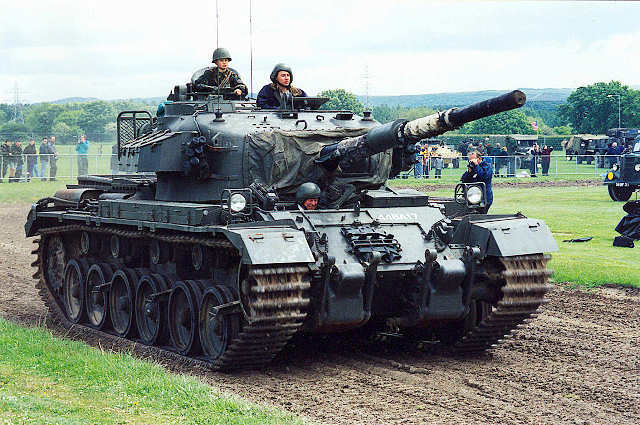 Originally designated A41, Centurion was one of the most successful British tanks. The Mark 1 was fitted with a 17 pdr main armament and was introduced at the close of WW II. 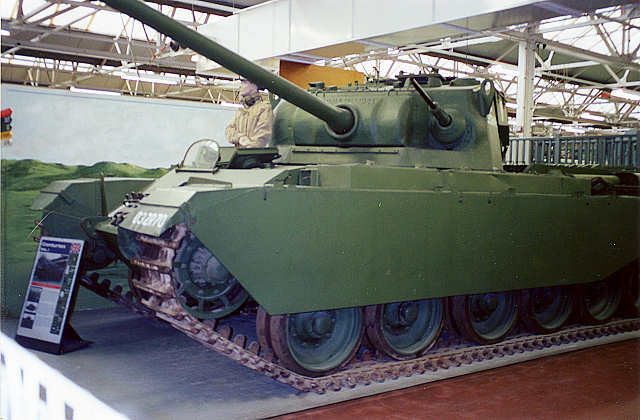 The vehicle shows family resemblences to Comet, Cromwell etc. 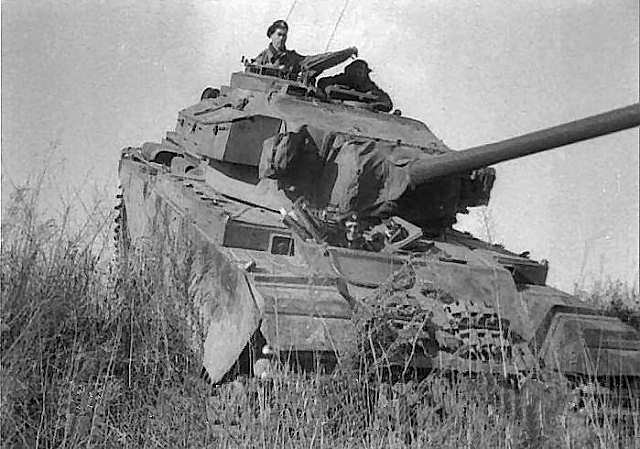 but was a design that proved to be more versatile, allowing upgunning through 20 pdr and eventually to 105 mm main armament. This vehicle is on display at Bovington. The 20 mm Polsten canon is characteristic of this mark. Main armament is a 17 pdr.